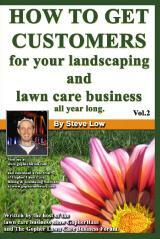 « Should I buy this lawn care business? 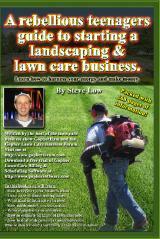 Keeping your lawn care business from getting to you. You can’t win a marathon race by sprinting right from the starting line. If you do, you will quickly lose steam and sputter out a short time into your race. If, however, you are able to keep a pace that is balanced with the distance you need to travel, you can make it across the finish line a winner. 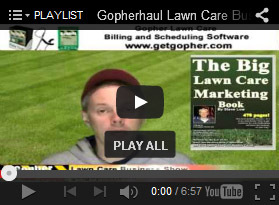 This same premise holds true when it comes to running a successful company as we will see in this discussion on the Gopher Lawn Care Business Forum. 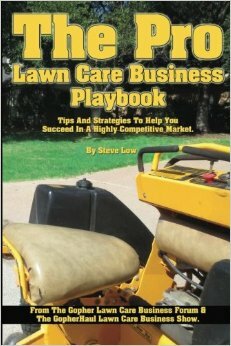 One lawn care business owner wrote “most people don’t understands what it is like to be a business owner because most people have a job. That is an entirely different mindset. In order to make it through tough or slow times as an entrepreneur, we need to keep looking at the bigger picture. 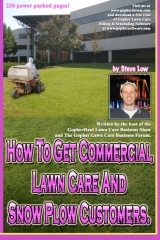 Don’t let your lawn care business stress you out! I’ve learned that we must maintain a balance. We all need to offset the stress of business with some sort of escapism. Whether it be with family, friends, children, fishing, playing sports, or anything else, we need to take a break from business or the business will break us. I understand you may not always be able to take a week off when you find yourself stressed out, so think about taking shorter, more frequent breaks. How about taking twice a week do something for a few hours. Go fishing Tuesdays & Fridays for 3-4 hours. Go swimming 3 times a week for 2 hours. Workout 3 times a week for 2 hours. Go for a run for an hour every morning or so. Get a fish tank. Get a dog. Go to the driving range. 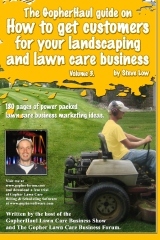 How to keep your lawn care business from getting to you. At times we can forget that what we do and where we are in life is so minute in comparison to the whole world. Not to say it’s not important to us or that we shouldn’t take it serious, only to say that we need to stretch our necks, lift our heads out of the forest to see the trees. I’ve found that doing little things allows me to reflect on my decisions, choices, and options, as well as look forward analytically, visualize, and plan my growth. I’m not good at reading people at all. I’m a straight forward person, I put everything out there in order for people to take me at face value and I take everyone at face value even when I shouldn’t. As I go through life, I’m finding out that not everyone is a straight shooter like me. I expect people to handle business like I do and this just isn’t the case. 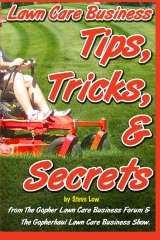 Some intentionally look for loopholes and technicalities in an effort to manipulate and take advantage. 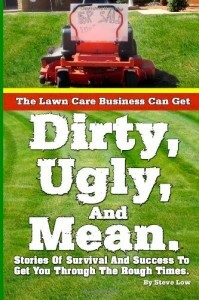 A second lawn care business owner said “I am very fortunate in having a background that lets me read people very well, I am however not always 100%, since April of last year we have been taken on two accounts, one is before the courts. In my reply as I hadn’t emailed a quote, I simply wrote a nice letter thanking this fellow for the bidding opportunity however after reviewing the schedule’s of staff qualified to do your job, we simply do not have the resources to complete it due to other projects. I am currently working on a rock wall project that is over 2,000 feet and will take me the rest of the season to complete. I wish you well and I am sure there are many qualified companies around to do your work, consider contacting a few of the retaining wall rock suppliers asking for a good company. There is no money for the company if you have to chase around clients for payment so dropping the late to pay accounts in exchange for those that pay at the end of the job is a smart decision. One thing I have run across over the years is people that have become rich on the backs of others, and at the expense of others. 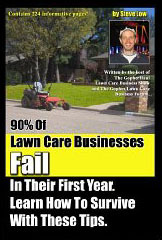 Some may think well $45 bucks a week isn’t going to make someone rich if they don’t pay for lawn care, well if that client uses this mentality in every area of their life the savings add up after while, I have seen it many times. 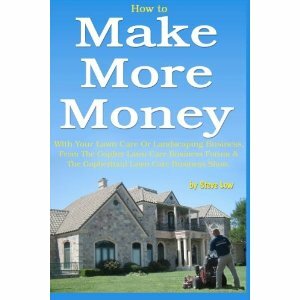 In my case the risk is high, we do many landscape and excavation jobs in the $9 to $30 thousand dollar range. 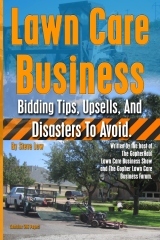 If I couldn’t read people and steer clear of issues, I would be out of business in no time, it may sound like a lot of money and it is however it is relative in that it costs a lot for equipment and employees to do these jobs. 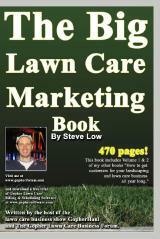 Order the lawn care business book - “The Pro Lawn Care Business Playbook.” today. 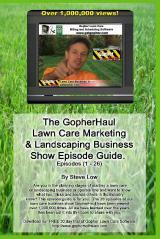 Use these lawn care and snow plow estimators for your Android phone. 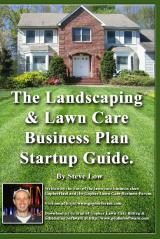 This entry was posted on Friday, November 29th, 2013 at 3:05 pm	and is filed under Business Failure, Growth, Lawn Care Business, Lawn Care Customers, Problem customers, Trials and Tribulations. You can follow any responses to this entry through the RSS 2.0 feed. You can leave a response, or trackback from your own site.